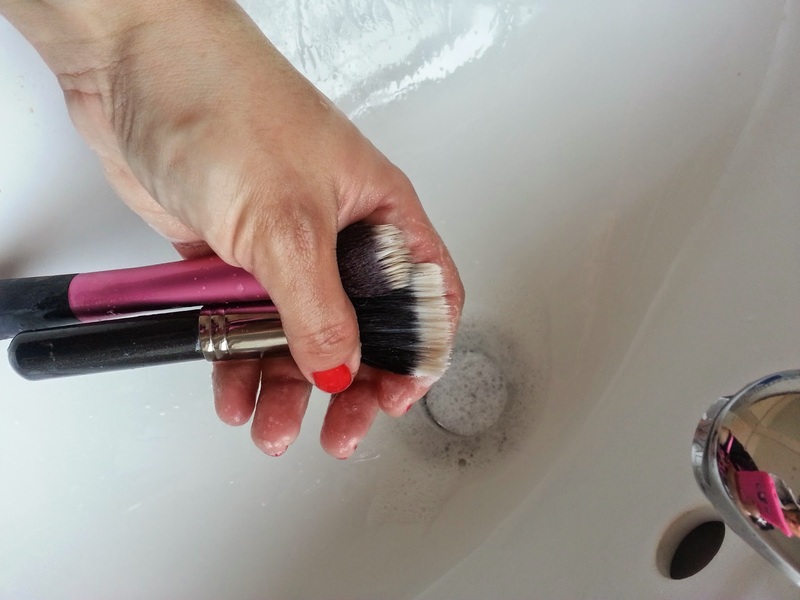 Do we all hate cleaning our make up brushes right? I am not the only one right? Why there is not a laundry service for make up brushes? With home delivery of course. I have used several brushes cleansers in the past, both on the cheap and on the expensive side, without really finding the holy grail for this mission. *don't destroy my brushes please! Last week end, when 374789 filthy brushes were looking at me from the dedicated "dirty brushes box", I decided to try my own mixture of cleansing liquids and voila, it worked pretty well. 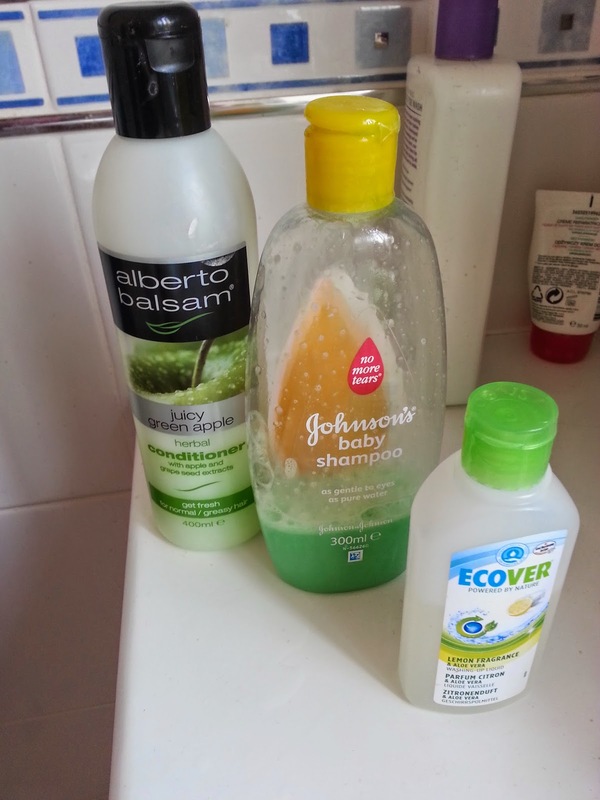 I put the same quantity for each liquid in an empty bottle (in this case the ohnson's baby one) and gave a good shake. You all know the procedure, I just added a bit of water and worked the soft foam through the hair until the rinsing water came out clean. The brushes came out clean, soft, not damaged and with a gorgeous scent of green apple (you may not like this last bit so you can try with a different kind of conditioner). Hope you'll find this post useful, let me know what you think and stay tuned for the next post planned for tomorrow, where I will show you some amazing make up brushes I bought recently!